OPSEU's annual Young Workers Conference will be held from August 10-12, 2018 at the Chelsea Hotel in downtown Toronto. 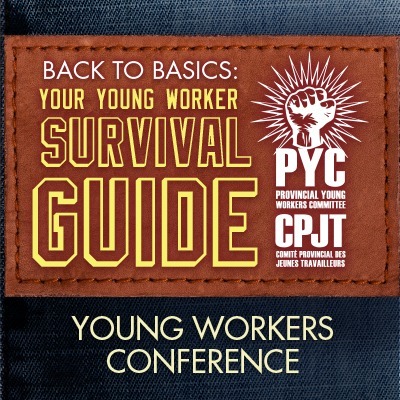 "Back to Basics: Your Young Worker Guide" will provide participants with an understanding of their basic rights and entitlements under the law and in their collective agreements. This conference will also continue to reinforce the need for young workers to take an active role in shaping their future.